If you're ready to be in charge of your own destiny, but don’t have the capital to buy a franchise or open up a storefront, consider starting an online business. When your store is online, you can reach millions of customers instead of whoever happens to wander in - plus, you don't have to pay for retail space. However, as with any business, you'll need an excellent product and a solid marketing plan. See Step 1 to learn what it takes to start your business online. #1 Define your product or service. Starting an online business gives you the benefit of having access to millions of customers, but you also have a lot more competition. No matter what you're trying to sell, you can bet that hundreds more online retailers have a similar idea. What differentiates your product from other similar products? To help your product stand apart from the rest, you'll need to find a niche. Let’s say you make jewelry—but so do a few million other people. What makes yours different? If one-of-a-kind jewelry (or another product) is your gig, make sure it's truly original. #2 Register your business. Your business needs to be registered according to your state's laws. Choose an official business name and fill out the appropriate paperwork to make your business official. #3 Register a domain name. Like the name of any other business, go for something short and catchy that will be easy for people to remember. Visit the website of a domain registration company and test out some of the names you're interested in to determine whether they're available. Once you land on a good name, go ahead and register it. #4 Get a web hosting service. There are free hosting services to be found, but if you're serious about running an online business long term, consider paying for one that offers all the services you need. You'll be less likely to run into problems when your business starts to take off. Choose a hosting service that allows for growth. #1 Create a stylish and functional website. 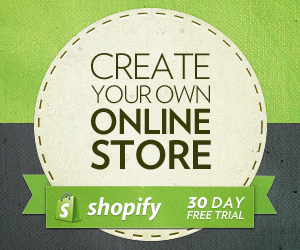 Elegant or funky, classical or hipster, your online store should reflect what you’re selling. No matter what your style is, it's important to give off a professional air. Since you won't be able to earn people's trust in a person, your website will have to do the selling for you. Your site should be engaging, and most importantly, easy for customers to use when they're ready to make a purchase. You don’t have to design the website yourself—there are professional designers who are more than up to the task, plus e-commerce websites will offer dozens of appropriate templates for you. If you know in advance what you want, you’ll make selecting a designer or a template that much easier. Make sure your logo at the top of the page always links to the homepage, If you have dark backgrounds use light text and vice versa. #2 Get e-commerce software. You'll need this so your customers can view your products, enter their information and make a secure purchase. The software safely stores customer information. Don't skimp in this area, since the e-commerce software you choose will make a big difference in how easy it is for customers to feel secure buying something from your store. You can also use an all-inclusive e-commerce web service. Sites such as Shopify and Bigcommerce offer competitive packages, with free templates, custom packages, credit card processing, and more. E-commerce web services make it easy to sell your products on the web, without a lot of overhead. There are no custom interfaces or templates to work with; you simply create an online store within the framework of the service. #3 Set up a merchant account. Service businesses in the past had to generally rely on cash or check—setting up an entire credit card processing system was a thankless, expensive task at best. Using a service such as PayPal makes it possible to accept virtually any form of credit or debit card for your services, and includes dispute resolution should the need arise (and it will arise). #1 Add catchy content to your site. Focus on your key areas of expertise, and display them professionally. Much like you would do when having potential employers contact references, put your best foot forward for potential clients. Include descriptions, where appropriate or necessary. #2 Be social. Whatever your business, whatever your venue, keeping your name in the air is key to internet success. Have a business account on Facebook, Twitter, and LinkedIn. If your business is graphically oriented, have accounts on Flickr and YouTube as well. Whenever there is news of any kinda new contract, a new page, a new entry, a new photo—cross-post it to all your social media sites. Also, make sure those sites link back to your main website, and that your website has links to all of them. #3 Become an affiliate marketer. There are many companies and webmasters who use affiliate programs to boost their online sales, and most of these affiliate programs are free to join. When you sign up for an affiliate program, an affiliate link with a unique affiliate ID will be assigned to you. The affiliate link is used for marketing the products of your merchant. When a visitor buys an item through your affiliate link, you earn affiliate commission. For example, if you are an affiliate marketer for Musician's Friend, an online musical instrument retailer, you can advertise their products on your site. If a person visits your site and clicks on the link that takes them to the Musician's Friend website, and they purchase an instrument within a certain amount of time (24 hours or more, typically), you get a commission on the sale. Putting up an online business may be easy or hard, depending on whether you did your research well and laid down all the groundwork before you began. You can make money out of an online business if you execute the necessary steps and do not miss out on some of the essentials that are needed for an online business to succeed. Be interactive with the customer. Ask them about the products, offer them post-sale service. Wish them on the occasions like Birthday, Marriage Anniversary, and others. Offer them a discount for returning visitors. Most hosted e-commerce shopping cart providers offer free trial periods which you could use make use of to build your website and learn how to run it.